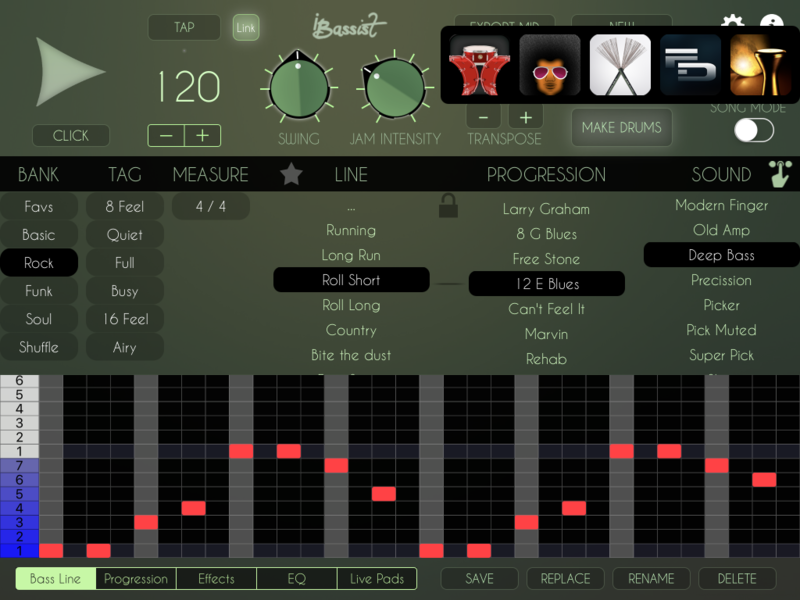 The “Make Drums” button sends the current bass line to installed LumBeat Drum Apps to create drum grooves. 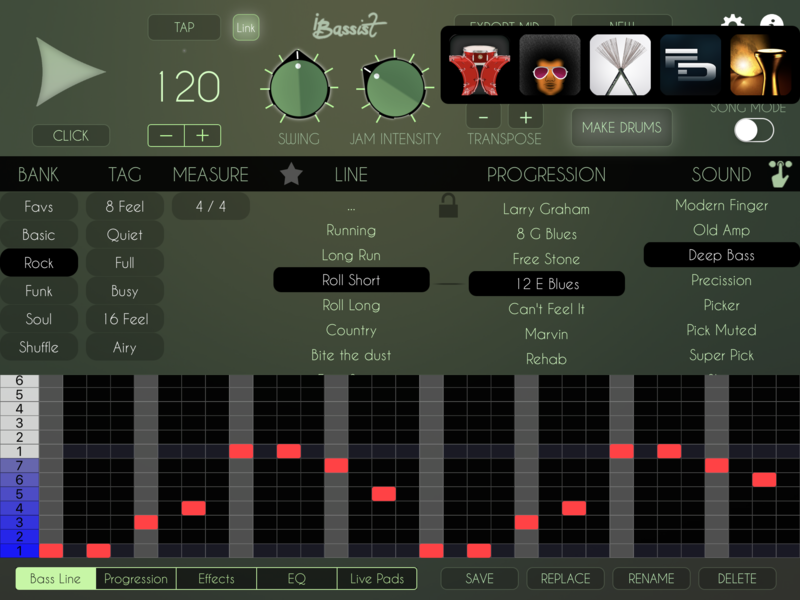 In Song Mode, the drum app will create the whole song structure. 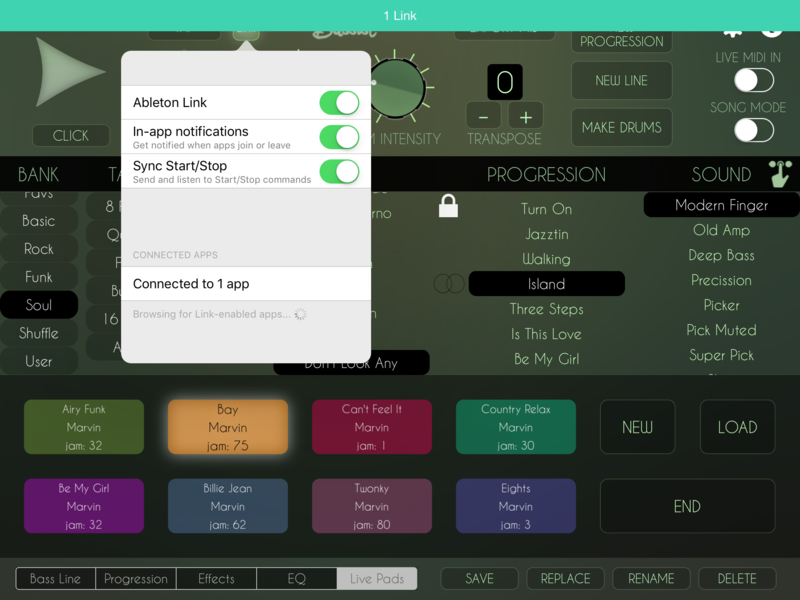 Be sure to enable Link Sync in the apps to synchronize the tempo, and optionally, Sync Start / Stop. Make sure you send the bass line every time you change it to the drum app.